It is only straightforward to buy the usual suspects; Bordeaux, Loire, Burgundy, Rhône, Alsace, Champagne and Vins de Pays. 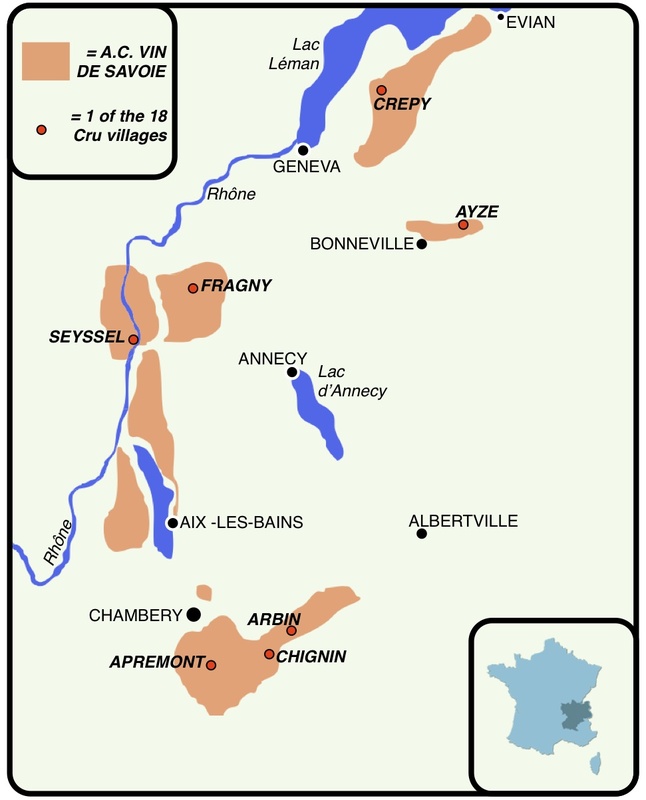 All those regions that make up south west France and Provence get left out, as do Corsica and Jura – let alone Savoie. As a result I have only tasted about half a dozen wines from Savoie in my life, and can barely remember most of those. I have very happy memories though, of a few bottles of the wild strawberry infused vermouth from Chambery that I enjoyed in my youth. Savoie appears to be a very interesting region, it is in eastern France near Geneva and Lake Annecy, which always looks so seductively beautiful in the photographs and seems to be a fascinating place to visit. Also, it uses grape varieties that are little known elsewhere – something that always grabs my attention. Well, obviously a lot has happened in the 24 years since that was published, because the wine did not fit any of those descriptions, so either wine making in Savoie has improved beyond recognition, or this particular wine bucks the trend – or I really, really wanted a glass of wine. I must get a new copy of Vines, Grapes and Wines. The nose was quite floral with soft pear notes. The palate was a surprise actually, it was textured and soft with a slight spritz giving a very lively, refreshing and attractive feel – making it seem much crisper than it was. It was not crisp though and not bone dry either, but it really was delicious and drinkable, light white, dryish wine with a big flavour of apples and melons – what’s more the alcohol is only 11.5%. It was very well balanced with enough acidity to keep it fresh, a good depth of flavour and a little hint of some minerality for elegance. This was not a great wine, in many ways it was pretty simple stuff, but it was such a pleasure to drink that the bottle emptied with alarming speed. It was a delicious aperitif and went with pesto very well indeed, and I can see it being perfect with a wide array of softish cheeses, actually I think it is very food friendly and will go with a wide range of dishes. Waitrose £7.99 a bottle (£7.59 online) – 86 points, remember this wine makes up for its lack of complexity with the pleasure it provides. Thank you for sharing this wine. There are a number of very good producers in Savoie and I enjoy visiting them with Wink – Savoie is one of her specialities. The standard of the wines has come on in leaps and bounds with many of the producers distancing themselves from the notionally ‘easy’ market of producing wine for the ski tourists. They are well worth seeking out and some good wines are imported to the UK, albeit by small importers. Interesting the wines from Savoie, and Jura, are well received in the USA. 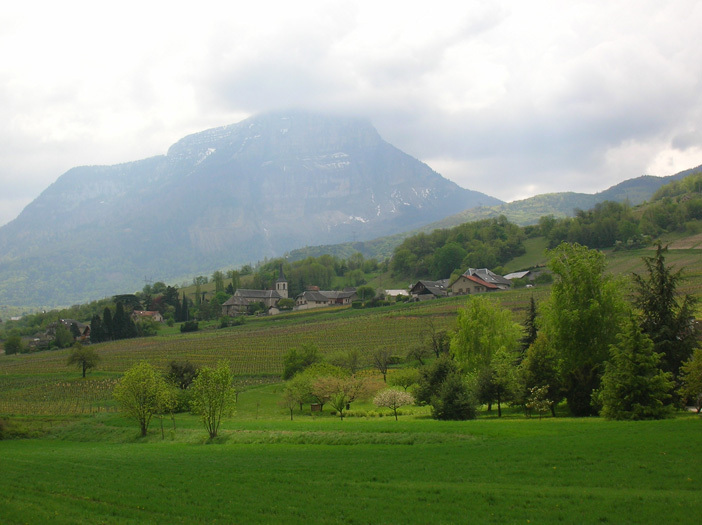 Thanks Brett, I have put a link to the Savoie Wine Travel Guide in the piece, so the reader will flock to you. The good thing about this wine is that I did not have to seek it, I stumbled across it and thought, why not? However I will now seek out some more. Chmberyzette is still made, and is still as delicious. I tend to use Chambery white vermouth instead of wine when cooking fish and chicken – adding a certain je ne sais quoi! Great to see you enjoyed a Savoie wine, Quentin and thank you for the link to my travel guide to the Savoie wine region. It’s interesting that Waitrose have take on Boniface’s Apremont again – they used to stock it about 25 years ago (they’ve always been loyal and sometimes, in lesser-known areas a bit unadventurous!). Boniface were one of the first in the area to use some residual sugar to ‘cover up’ some of the tartness that you get with the low-sugar, relatively neutral and high yielding Jacquère grape and they were the first winery I visited out there about 25 years ago! It’s true that a lot has happened in a quarter of a century and producers in the region are improving their Jacquère wines greatly so that the good ones don’t necessarily need too much sugar now (some use partial malolactic instead)! I do still enjoy greatly well-made Savoie Jacquère, especially as an aperitif or with a light salad lunch, but I would love to introduce you to some of the more ‘serious’ wines of the region when you come! By the way, Jancis is at last doing a major update the grapes book – due out in 2011 I believe.